I suppose my expectations were a bit high since it was compared to Reservoir Dogs and Jesus' Son. Didn't quite reach the levels of the aforementioned titles but still somewhat entertaining none the less. 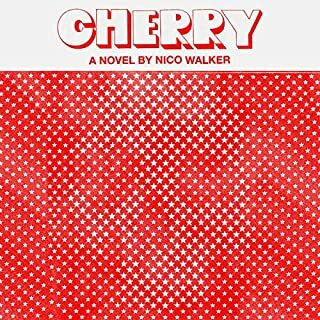 Cherry is a story about drug usage and robbing banks which has been done many many times before. Also, a ton of chapters are dedicated to military service and fighting the war on terror. So if stories about being in the military are not your thing, I would recommend passing on this due to the amount of time dedicated to this subject. The plots that detailed the drug usage/addiction and bank robbing were not very exciting at all. I felt more effort could have been put forth to make them more interesting. Nothing seemed very extraordinary, but that could have been the point. The narrator was decent, with a good voice. Although he sounded a lot like Jack Nicholson and that was distracting at times.